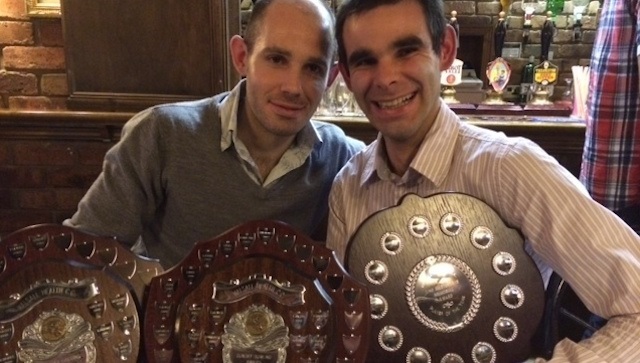 Skipper Dave Preece and brother John with their trophy haul. Dynamite brother duo Dave and John Preece were the big winners at the Walsall Health PU. Skipper Dave took player of the year and batsman of the year honours at the ale-soaked event at the Lyndon Arms in Walsall while brother John took bowler of the year. 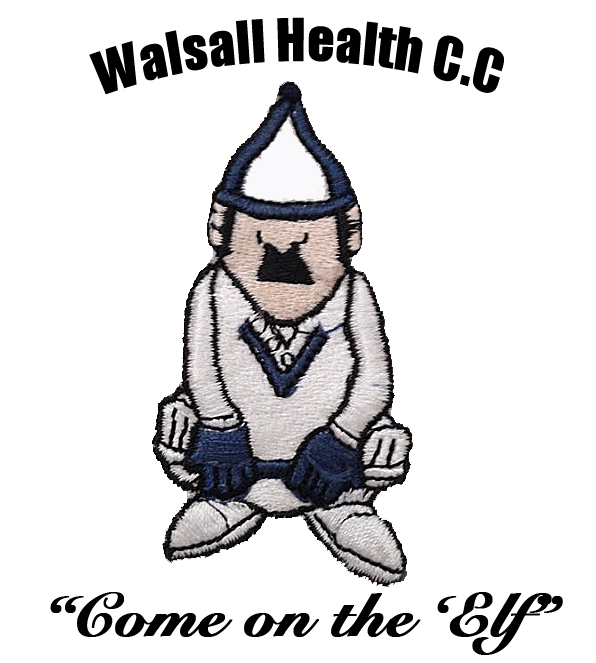 Additionally, Rob Hewlitt was the winner of the Fielder of the Year award and Mat Danks was, frankly, stitched up when the club stubbornly refused to allow the Duck Trophy to be done on a pro rata basis, even though it is clearly the right way to do it. But he didn’t kick up a fuss. 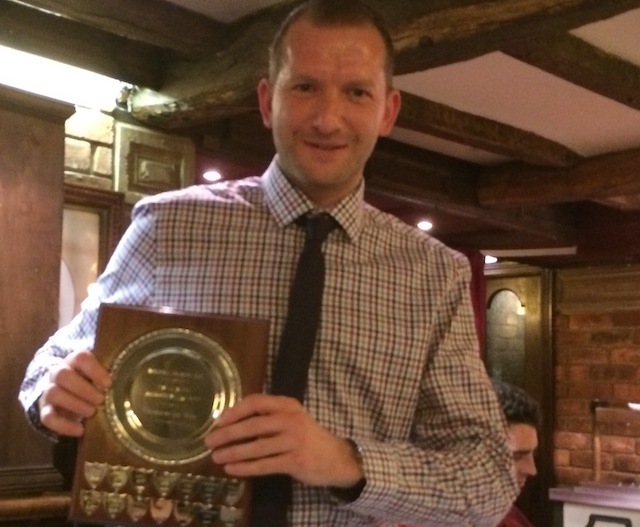 Rob Hewlitt with the prestigious Fielder of the Year trophy. Seriously bad pair of biffs.